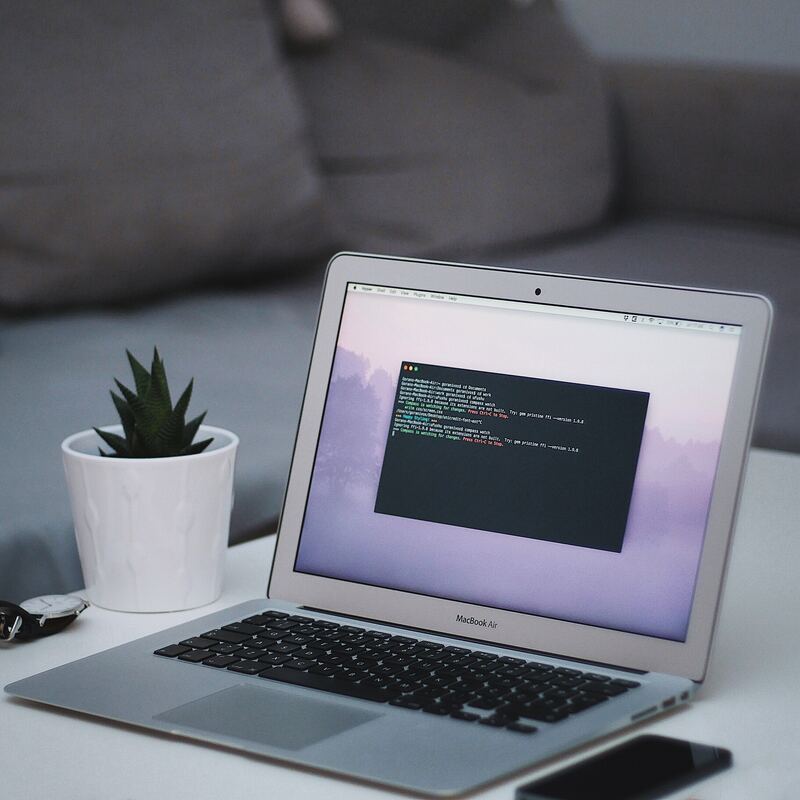 iTerm2 is an terminal emulator for macOS. It has a lot of features that don’t come with the standard macOS terminal. Some people prefer the plain bash terminal, but I am not one of them, as aren’t many other folks. So How Do I Customize My Terminal? Most of this will work with the plain macOS terminal but whatever doesn’t I will note that next to the item. ZSH or Z Shell is the most important part of my setup1. It’s simple to install with Homebrew/brew on macOS and apt or apt-get on Linux. 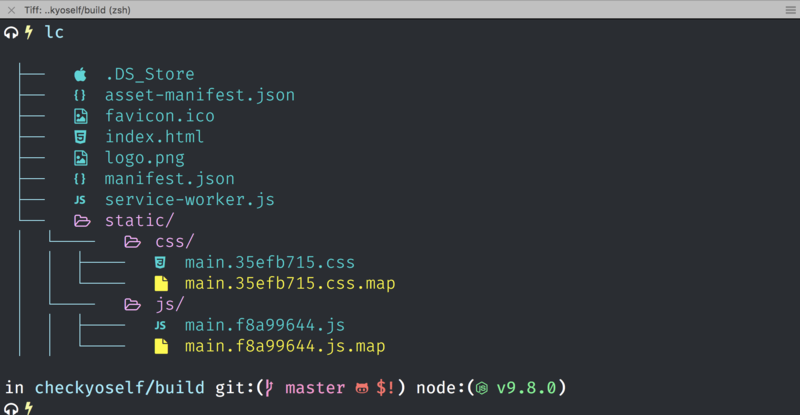 Plugins extend the functionality of not only bash but git as well. Aliases are a hot topic in the dev community. Do you use them or don’t you? This depends on your experience and personal preferences, in my opinion, so there is really no right or wrong answers. 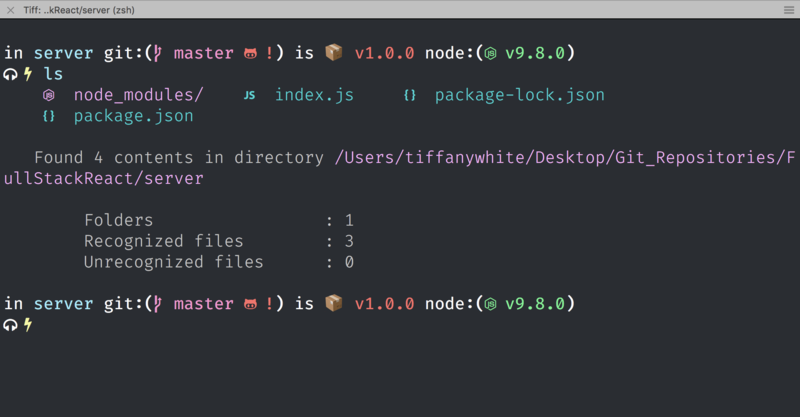 Aliases allow you to type a few letters to initiate a command in your terminal. 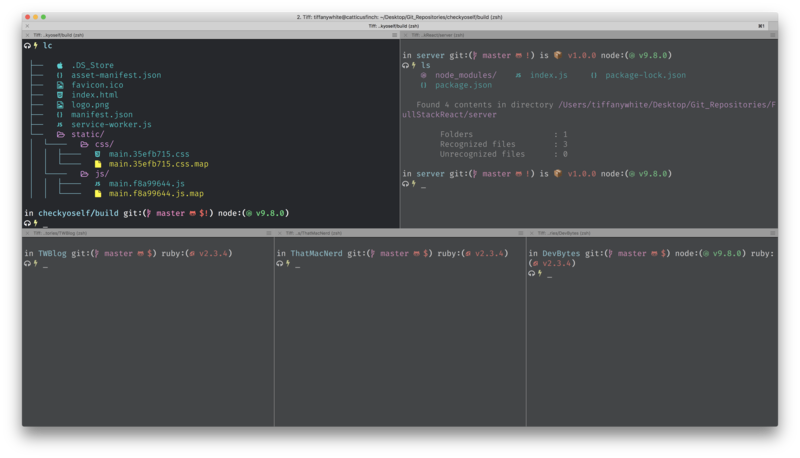 For instance, I have this to push to git: gp. This is my favorite part of all this. 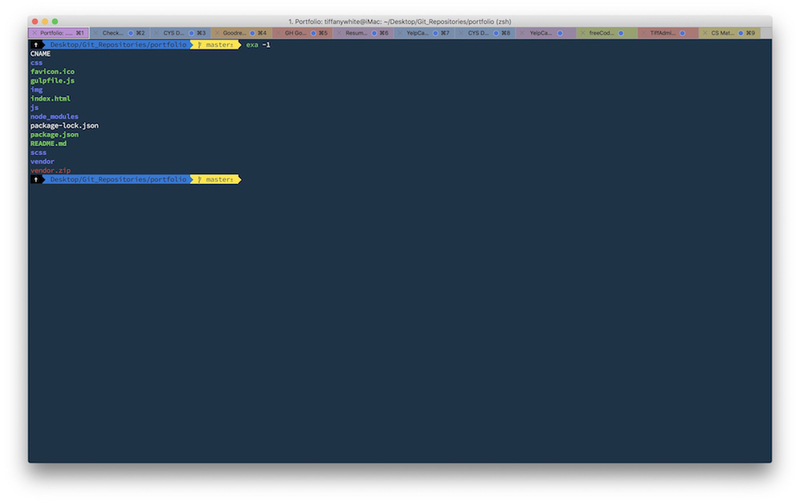 You can add a zsh theme by downloading it from the creator’s repo or just find one in Robby Russell’s repo. This is a theme that uses Powerline Patched Fonts for the flag and iconography. This was my setup for a long time until I read Ali’s post. That post turned me on to a theme I already tried but was so used to Cobalt2 for everything2 I decided to switch it back. I wanted to use other iconography than the default spaceship icons because for whatever reason I couldn’t get them to work. As I read the issues for spaceship, I found an issue about changing the glyphs to Nerd Fonts. After reading You’re Missing Out on a Better Mac Terminal Experience on Medium I figured out how to get them to work. Using spaceship’s customizations I ended up with the headphone and flash glyphs instead of my machine name for the terminal prefix. 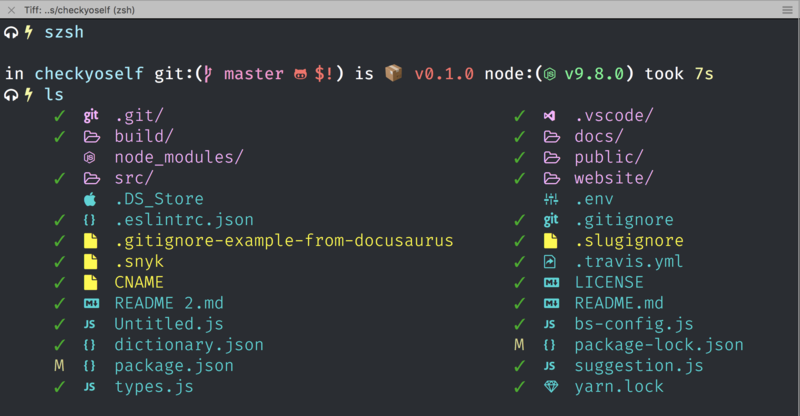 I use zsh-syntax-highlighting to highlight directories and other commands in the terminal. You can customize the color of the highlights by looking at the highlighter docs. This command line utility is exa, which replaces ls with some nifty features is something I don’t really use now that I have installed colorls. You can type exa and it will list the contents of your directory. You can get directory permissions, print each item on one line with the -1 flag, and other custom controls. Want to share your setup? Send me a tweet. You can install other tools like Fish shell, but zsh is probably the most widely used, outside of bash itself.